With a fifty-plus year career, earning him Rock & Roll Hall of Fame induction in 1988, Mike Love has led a charmed life. Conversely, there’s been enough personal travails, coupled with family tragedy and acrimony, along the way to make a mini-series. 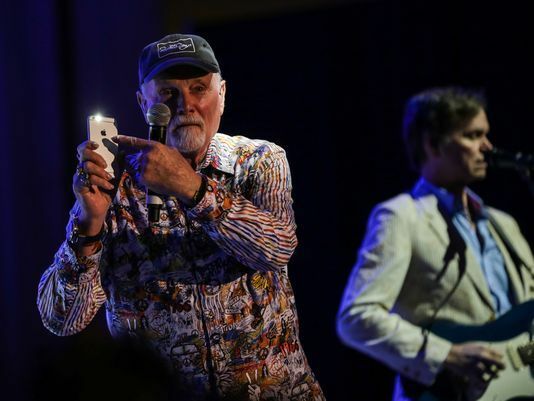 That dichotomy, has made the famously outspoken Beach Boy co-founder/singer/bandleader Love, a lightning rod for controversy over the past several decades. 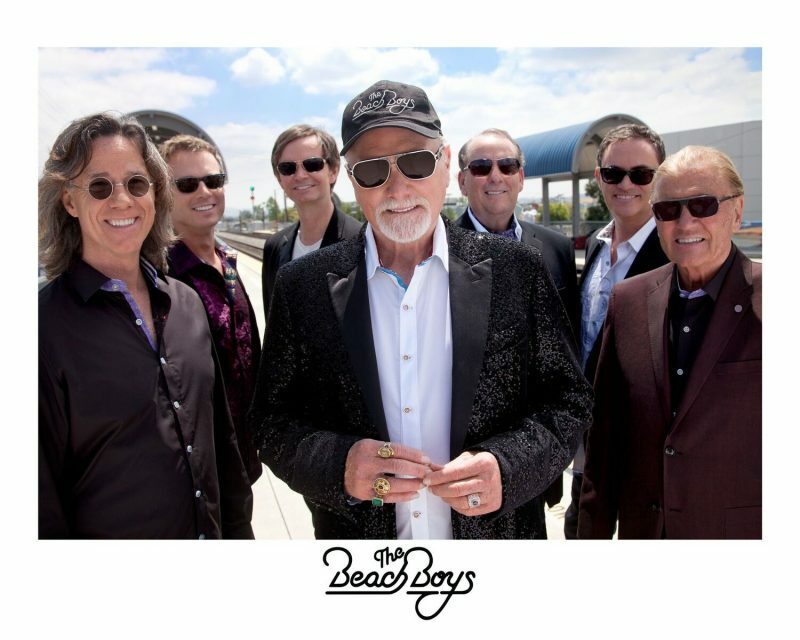 Love will visit the Ocean City Music Pier stage, with his 2017 incarnation of The Beach Boys, on August 21st and 22nd, for two shows each night. In a wide-ranging conversation with OCNJ Daily beforehand, done while Love was in Indiana, in the midst of another Endless Summer spent touring America, and the world, singing songs about sun, fun, cars and girls, the surprisingly soft-voiced Love is warm and engaging. Perhaps he’d just meditated, a practice he neglected to do on the day of his infamous, but extraordinarily entertaining, Rock & Roll Hall of Fame speech. Some of his old grudges still clearly remain. In a sense, he seems fairly resigned to feeling perpetually misunderstood. However, he was gracious and generous with his time. His mood and tone surprisingly light, while speaking fondly of his life’s occupation, and his love affair with Ocean City. Thanks for taking some time to talk to us. I’ve never seen The Beach Boys in action before, so like thousands of others down at the Jersey shore this summer, I’m looking forward to seeing you on August 21st & 22nd. We look forward to being there. We typically in the summer play the larger, amphitheater type of places in the summer, but we’ve been coming to Ocean City for years. The Music Pier is smaller, more intimate and we like it because of that. That’s also why we do four shows there, rather than one or two. We wanna give everyone there a fair shot to see us. I’m not a musician, but guessing it’d be nice to be able to look out at the ocean, along with the crowd, as you play. It’s great! Especially for a band like ours. And the town itself, it’s like Atlantic City was fifty years ago, you know? Clean, and really nice. I mean, it’s a real family-oriented kinda thing. You see multiple generations coming out there to our show there, which is really nice to see. It’s a summer experience for the family, so it’s great for us, to be there for a few days. You can just relax, soak it in, and enjoy being in that kind of environment. They don’t allow smoking on the boardwalk or any bars. It’s just a nice, kid-friendly, vacation atmosphere, which is fantastic to me. 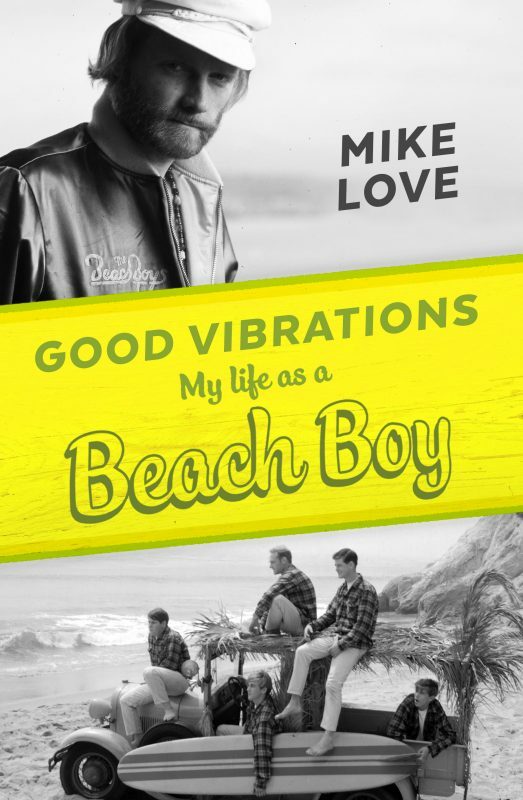 I recently finished listening to the audio-version of your autobiography (Good Vibrations: My Life as a Beach Boy, released, released in December 2016). I had read excerpts before, but felt like the audio version added something. Well, thank you, I was glad to get the opportunity to write and read it, we recorded it over four days at my home in Lake Tahoe. Yeah, listening to you singing lyrics to songs that you grew up on, or taking on some emotion in your voice, when talking about some of the more difficult periods of your life, makes it a uniquely personal listening experience. Yeah, I don’t know, I guess there’s something that’s different when you actually speak it all out. It becomes a very cathartic, emotional experience. Whether it’s talking about Carl’s (Wilson) last show with the band, before passing from lung cancer, or my sister Stephanie dying, or your uncle and your cousin cheating you out of songwriting royalties, it’s all kind of emotional, you know? Some is really sad, some of it’s pretty pathetic, but there’s a lot of amazing and wonderful stuff, that happens along the way too. So, you’re right, you really get more of the emotional impact of that story, when you hear it. It was just a chance to be, really forthcoming, from my own perspective. There’s been a lot of things written about The Beach Boys. A lot of it is either Dennis and Charlie (Manson, who infamously was a one-time roommate of Dennis Wilson’s before the Manson Family murders at Sharon Tate’s home in 1969), or Brian this, and Brian that. All these things that, a lot of times the people who were writing about them, weren’t there. It’s either second-hand information, or flat-out disinformation. So, it was really a chance to lay out, in my words, what the journey was like for me. Or part of it, anyway. You can’t ever relate the whole thing, there’s just been too many years and experiences. Right. And even though you’ve now been sober, for forty or so years, it must still be hard to recall everything in detail. Exactly. Myself and the writer (James Hirsch), pulled precise dates, or quotes from past interviews, stories and research. But some of the deeper stuff, especially regarding family, or some of the quotes and things attributed to me on the internet, that I never actually did or said, it was good to be able to clear the air. On that topic, there are definitely things, in particular, you hating Pet Sounds, or Brian contributing all the early lyrics in addition to the production and music composition, that you really do attempt to clear up here. There’s been a lot of B.S. about how I didn’t like Pet Sounds, or said “who’s going to listen to this crap?!?”. Who would listen to that, especially being a part of it, and not love it?!? That’s totally erroneous. Somebody made that up somewhere along the way. I guess they needed a villain, and I suited their purposes. Dueling forces is something you’ve spoken about often. You consider yourself “the peacenik and the badass”, “the butterfly and the switch-blade”. When the Beach Boys got derailed in the seventies, you’ve said that “being a road dog, was going to be my nourishment, and my revenge”. You tour frequently, sometimes two shows a night, dating back to 1964. Here we are now in 2017. You’re doing two shows a night in Ocean City. Is the road more your nourishment, or your revenge, in this day and age? The word revenge I don’t think relates anymore. It’s not relevant. That was more how I felt back then, forty-some years ago. And even back in those days, with this job, I’ve always enjoyed the live part, more than the studio. The studio is great, it’s necessary, it can be brilliant. But performing the songs, recreating them in front of an audience, in real-time, to people who appreciate it? I don’t think anything tops it. At least not for me. It’s so alive and vibrant, you know? It shows how much this music means to people. There’s melancholy doing “In My Room”, or “God Only Knows”, or “Warmth of the Sun”. Or there’s euphoria playing “Help Me Ronda”, “I Get Around”, or “Fun, Fun, Fun”. I don’t think there’s anything that tops live music, as far as our music goes. So, I’ve always preferred that part of the process. We’ve lost a lot of legendary musical artists in 2016-17. One of the biggest was in March, with Chuck Berry, who’s obviously been a big influence on you. You’ve spoken on his “economy of lyricism”. How did you process his passing? Did you have a relationship with Chuck, beyond being a huge admirer of his craft? Unfortunately, no. We did meet him, a few times over the years. He once told me “I like what you did with ‘Sixteen’” (referring to Chuck’s “Sweet Little Sixteen”, which morphed into “Surfin U.S.A.”, Berry later received a songwriting credit). We still do “Rock & Roll Music”. We recorded it back in the sixties, and we play it live to this day. At the end of it, we put up a picture of Chuck on the big screen as an acknowledgement and tribute to him. He was a huge influence on me lyrically, that’s for sure. It was a sad thing, because he suffered dementia in the last couple years of his life. My friend, Glen Campbell, (briefly a member of the Beach Boys, who passed away on August 8th) suffered from the same awful ailment, in his later years. Right. I didn’t realize that Chuck had suffered from dementia in the final stage. I did know about Glenn Campbell’s. He was a Beach Boy for a stretch, correct? Yeah, Glenn was a Beach Boy, for a brief period in the mid-sixties after Brian left for the first time, before Bruce (Johnston) came in. There’s a lot of history, and great people, who’ve been in our group, besides just our family. Captain & Tennille, for instance. Also, Blondie Chaplin, who sings one of my favorite underappreciated Beach Boy gems, “Sail On Sailor”. Absolutely! And Ricky Fataar, who’s played drums, guitar and sang for years afterwards with Bonnie Raitt, was in our group too. He and Blondie were in the band at the same time, during (The Beach Boys 1973 album) Holland. That was pretty awesome. Your family has certainly demonstrated an ear for talent over the years. How about this current Beach Boy incarnation? Bruce is still with you, since 1965, correct? Yes, most of the band now has been with us close to twenty years, or even longer in some cases. Vocally, we’re are as deep as we’ve ever been. That’s our strength today, and we sound as good as we ever have, from a pure vocal perspective. We do around 170 shows a year. We keep busy. Everybody in the group enjoys what we do, and the people coming out, seem to enjoy it too. We’re having a great time, enjoying our success, and happy to be doing what we do. There’s all the historical stuff and everything, which is great. But, every night, we get to make a little bit more history. And it’s living, breathing, history, that’s happening in real time. A family hobby turned into a profession, and became a long-lasting one at that. That’s a wonderful thing. I’m sure it is. Safe to say, despite some of your established issues with the business side of things, this beats the prior Love family business, in sheet-metal manufacturing? (chuckles) Yes, I’d say that’s safe to say. Your hands stay a lot smoother too! As another musical artist visiting Ocean City told me last summer, “If you can get paid to do something you’d be doing for free anyway, you’re winning”. You’re still doing two shows a night, that’s five or six hours of work, just between playing and sound-checking. That’s before we get to the travel part. Not saying you’re old, but at age 76, you’re not exactly a spring chicken anymore either. How demanding is that on you, physically? Does it get tougher, at this stage, to perform regularly? No, it’s alright, because I make sure to meditate before, and in between, each show. You know, my Transcendental Meditation thing, which I learned from Maharishi in December of ’67. It’s been a huge help, throughout my years. To hear you tell it, you credit that with saving your life, especially in thinking about some of the issues that other artists of your era had, or the problems that plagued your cousins, in terms of drugs, mental illness and the like. Even in between shows, you’ll meditate? Does that have something of a regenerative effect? Exactly. You can drop your metabolism with meditation to a level of rest that’s twice as deep as deep sleep. That helps repair all the fatigue, it gives you the clarity and energy to do more. It gives you the expanded awareness, and also the deep relaxation, so that things don’t overwhelm you emotionally. You’re more grounded, more centered, more adaptable. In a way that you don’t have to overreact to something negative. You’re able to cope with it better. So I do that every day, at least twice a day. It helps to transcend all of the things that life throws at you. So, you’ve already done that this morning, waking up in a hotel room, in Indiana? Right. And I’ll do so again this afternoon before our show. Well, good luck out there on the road this summer, before you get to Ocean City. 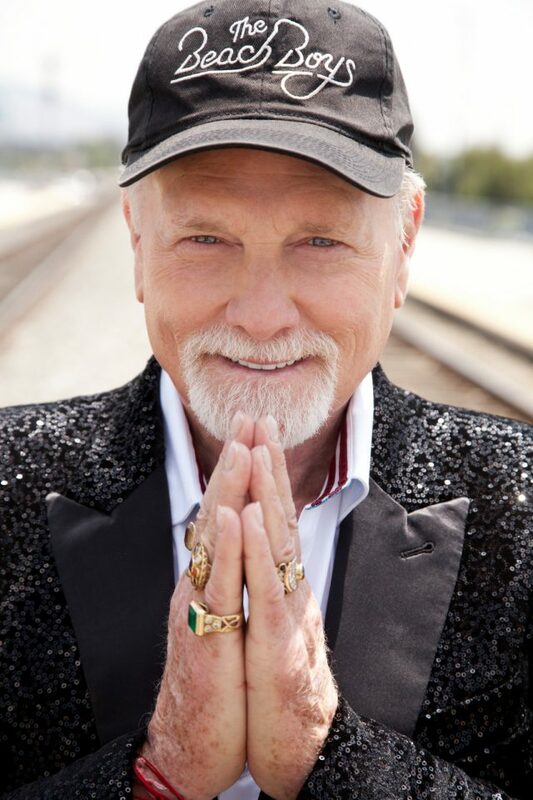 Thanks for talking with us, and we look forward to seeing the Beach Boys at the Music Pier. Thank you, nice speaking with you too. I hope to get to meet you while we’re out there. Say hello to everyone in Ocean City for me.